ccThrive is guided by its Advisory Board made up of the leading researchers and clinicians focused on long term quality of life issues for survivors of childhood cancer. Our members include hematologist-oncologists, oncology physiologists, pediatric neuropsychologists, physical therapy researchers and oncology physiotherapists. These experts provide insight into the needs and challenges of childhood cancer survivors as we shape our programs. This esteemed body provides strategic guidance as ccThrive forms partnerships with children’s hospitals and childhood cancer research organizations. Abby Rosenberg, MD, MS, is an Assistant Professor of Pediatrics at Seattle Children’s Hospital and the University of Washington Division of Pediatric Hematology Oncology. After brief careers in social work and clinical research, she received her MD at Stanford University. She completed her residency and fellowship training at Seattle Children’s Hospital and the Fred Hutchinson Cancer Research Center, and then received a Master of Science in Clinical Research Methods from the University of Washington School of Public Health. Dr. Rosenberg’s research focus is on psychosocial outcomes and survivorship among pediatric, adolescent and young adult patients with cancer and their families. Specifically, she and her team have developed novel interventions designed to promote resilience during and after the cancer experience. Additional research studies focus on communication, quality of life, and other patient-centered outcomes. Dr. Rosenberg holds leadership roles within the Children’s Oncology Group patient-reported outcomes and cancer control committees, the Treuman Katz Center for Pediatric Bioethics, and the University of Washington Palliative Care Center of Excellence. 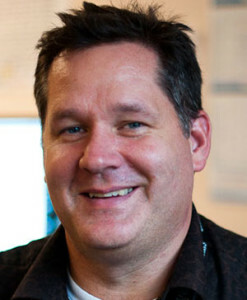 Dr. Mabbott received his PhD in Developmental Psychology at the University of Alberta in 1998, and then completed a Post-doctoral Fellowship in Paediatric Neuropsychology at The Hospital for Sick Children. He is a psychologist with the Paediatric Brain Tumour Program in the Division of Haematology/Oncology at The Hospital for Sick Children, a Senior Scientist in the Research Institute at The Hospital for Sick Children, and an Associate Professor in the Department of Psychology at the University of Toronto. Dr. Mabbott provides clinical neuropsychology services to children with brain tumours and their families and has a research program in developmental neuropsychology. Dr. Mabbott’s research uses innovative brain imaging techniques (i.e., Diffusion Tensor Magnetic Resonance Imaging; Magnetoencephalography) and psychological tests to study the impact of brain injury on how the brain grows and develops in childhood. Specifically, He examines the impact of treatment for paediatric brain tumours on the structure and function of the brain. Although many children with brain tumours are cured, survival does not come without a cost. Survivors have higher rates of academic difficulties, and lower rates of high-school graduation and employment relative to their peers. The overall goal of this research is to reduce the burden of brain tumours and their treatment to improve the quality of life for children. His work has been instrumental in documenting the thinking and learning difficulties children treated for brain tumours experience and the underlying damage to brain structure and function that cause these problems. Dr. Mabbott has recently begun exciting new work to find ways to foster brain repair following radiation injury in children treated for brain tumours, including using physical exercise and drugs that stimulate the growth of new brain cells. His work has been funded through the Canadian Institute for Health Research, the Canadian Cancer Society Research Institute, and Genome Canada. Liu F, Scantlebury N, Tabori U, Bouffet E, Montour-Proulx I, Keene D, Briere ME, Strother D, McConnell D, Hukin J, Fryer C, Wang F, Mabbott DJ: White matter insult predicts poor neuro-cognitive outcome in survivors of pediatric low grade glioma. Neuro-Oncology. 2014 Nov 13. [Epub ahead of print]. Henrich N, Marra C, Mabbott DJ, Malkin D, Fryer C, Bouffet E, Taylor M, Hukin J, Scantlebury N, Gastonguay L, Lynd L: De-escalation of therapy for pediatric medulloblastoma: trade-offs between quality of life and survival. Pediatric Blood and Cancer, 2014 Jul;61(7):1300-4. Dockstader C, Wang F, Bouffet E, Mabbott DJ: Gamma rhythms as a neural signature of cognitive effort in children. Journal of Neuroscience, 2014 Jun 25;34(26):8813-24. Moxon-Emre I, Bouffet E, Taylor MD, Malkin D, Laperriere N, Scantlebury N, Law N, Spiegler BJ, Janzen L, Mabbott DJ: The impact of CSR dose, boost volume and medical complications on intellectual outcome in patients with medulloblastoma. Journal of Clinical Oncology. 2014 Jun 10;32(17):1760-8. Riggs L, Bouffet E, Laughlin S, Laperriere N, Liu F, Skocic J, Scantlebury N, Wang F, Schoenhoff NJ, Strother D, Hukin J, Fryer C, McConnell D, Mabbott DJ: Changes to memory structures in children with medulloblastoma. Journal of the International Neuropsychological Society, 2014 Feb;20(2):168-80. Scantlebury N, Gaetz W, Dockstader C, Rockel C, Laughlin S, Dickson J, Mabbott DJ: White matter tract maturation and age related changes in information processing speed in childhood. Journal of the International Neuropsychological Society 2014 Jan;20(1):99-112. Scantlebury N, Gaetz W, Widjaja E, Rutka J, Bouffet E, Rockel C, Mabbott DJ: Functional re-organization of the cortico-spinal tract in a paediatric patient with an arteriovenous malformation. Neuro Report 2014 Jan 8; 25(1):55-9. Piscione PJ, Bouffet E, Mabbott DJ, Shams I, Kulkarni AV: Physical functioning in pediatric survivors of childhood posterior fossa brain tumors.Neuro-Oncology 2014 Jan;16(1):147-55. Dockstader C, Gaetz W, Bouffet E, Tabori U, Wang F, Bostan S. Laughlin S, Mabbott DJ: Neural correlates of delayed visual-motor performance in children treated for brain tumours. Cortex 2013: 49(8): pp 2140 -2150. Dockstader C, Gaetz W, Rockel C, Mabbott DJ: White matter maturation in visual and motor areas predicts the latency of visual activation in children. Human Brain Mapping 2012: 33(1): pp 179-91. Mabbott DJ, Monsalves E, Spiegler BJ, Bartels U, Janzen L, Guger S, Laperriere N, Andrews N, Bouffet E. Longitudinal evaluation of neurocognitive function after treatment for central nervous system germ cell tumors in childhood. Cancer 2011: 117(23): pp 5402-11. Law N, Bouffet E, Laughlin S, Laperriere N, Brière ME, Strother D, McConnell D, Hukin J, Fryer C, Rockel C, Dickson J,Mabbott DJ: Cerebello-thalamo-cerebral connections in pediatric brain tumor patients: impact on working memory. NeuroImage 2011: 56(4): pp 2238-2248-168. Scantlebury N, Mabbott DJ, Janzen L, Rockel C, Widjaja E, Jones G, Kirby M, Odame I: White matter integrity and core cognitive function in children diagnosed with sickle cell disease. Journal of Pediatric Hematology and Oncology 2011: 33(3): pp 163-71. Gaetz W, Scantlebury N, Widjaja E, Rutka J, Bouffet E, Rockel C, Dockstader C, Mabbott DJ: Mapping of the cortical spinal tracts using magnetoencephalography and diffusion tensor tractography in paediatric brain tumor patients. Child’s Nervous System 2010: 26(11): pp 1639-45. Genetic predictors of intellectual outcome and white matter injury following treatment with cranial radiation for paediatric brain tumours. Mabbott DJ, Malkin D, Taylor MJ, Bouffet E, Scantlebury N, Beyne J. Garron Family Cancer Centre Small Grant Competition, The Hospital for Sick Children. (2012 – 2014). Placebo controlled double blind crossover trial of Metformin for brain repair in children with brain tumours. Mabbott DJ, Miller FD, and Bouffet E. Stem Cell Network (April 2013 – March 2015). Recruitment of endogenous neural stem cells to promote repair following acquired brain injury in children. Miller FD, Mabbott DJ, Frankland W, Morshead CM, Bouffet E. The W. Garfield Weston Foundation – Brain Canada Multi-Investigator Research Initiative (MIRI). (2013 – 2016). Recruitment of endogenous neural stem cells to promote repair following acquired brain injury in children. Mabbott DJ, Miller FD, Frankland PW, Morshead CM, Bouffet E. Garron Family Cancer Centre Matching Funds, the Hospital for Sick Children (March 2013 – February, 2016). KEYS to succeed: cognitive and academic intervention program for children and adolescents surviving cancer. Mabbott DJ, Guger S, Bouffet E, Bartels U, Cunningham T, Janzen L, Solomon T, Dockstader C. Paediatric Oncology Group of Ontario (May 2014 – April 2017). Examining the relationship between white matter Integrity and the speed of neuronal processing in children with brain tumours. Mabbott DJ, Bouffet E, Dockstader C, Doesburg S, Gaetz W, Laughlin S, Tabori U. Canadian Institute for Health Research. (October 2012 – September 2017). Kristina K. Hardy, PhD, is a pediatric psychologist within the Division of Neuropsychology at Children’s National Health System and an Associate Professor in the Departments of Psychiatry & Behavioral Sciences and Pediatrics at the George Washington University School of Medicine. 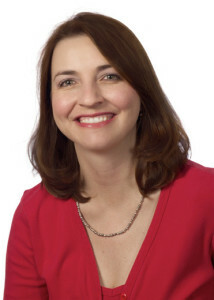 Dr. Hardy has expertise in developmental and acquired difficulties with attention, learning, and executive functioning. She provides clinical services, including evaluation and therapy, to children and adolescents with a broad range of mental and medical health issues, including those with ADHD, pediatric cancer, and neurofibromatosis, type 1. Her clinical research program is focused primarily on identifying factors associated with neurocognitive difficulties in survivors of pediatric cancer and children with neurofibromatosis, as well as developing and assessing interventions for these difficulties. 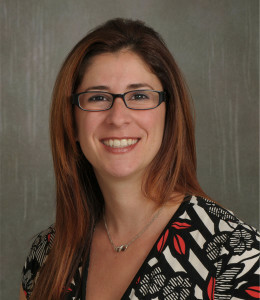 She has a particular interest in evaluating the use of technology in mental health, including computerized assessment and cognitive training programs. Dr. Hardy is also involved with clinical studies associated with the Children’s Oncology Group, in which she serves as a member of the Behavioral Science and Cancer Control steering committees. At Children’s National, Dr. Hardy serves as the Director for the Neuropsychological and Psychosocial Evaluation Core of the Clinical Studies Resource within the Clinical and Translational Science Institute, and is actively involved in training graduate students, predoctoral interns, and postdoctoral fellows. Psychosocial and Neurocognitive Outcomes in Adult Survivors of Adolescent and Early Young Adult Cancer: A Report From the Childhood Cancer Survivor Study. Prasad PK, Hardy KK, Zhang N, Edelstein K, Srivastava D, Zeltzer L, Stovall M, Seibel NL, Leisenring W, Armstrong GT, Robison LL, Krull K. J Clin Oncol. 2015 Aug 10;33(23):2545-52. doi: 10.1200/JCO.2014.57.7528. Epub 2015 Jul 6. The potential utility of parent-reported attention screening in survivors of childhood cancer to identify those in need of comprehensive neuropsychological evaluation. Hardy KK, Willard VW, Wigdor AB, Allen TM, Bonner MJ. Neurooncol Pract. 2015 Mar;2(1):32-39. Epub 2014 Dec 12. Sluggish cognitive tempo in survivors of pediatric brain tumors. Willard VW, Hardy KK, Allen TM, Hwang EI, Gururangan S, Hostetter SA, Bonner MJ. J Neurooncol. 2013 Aug;114(1):71-8. doi: 10.1007/s11060-013-1149-8. Epub 2013 May 10. Children’s Oncology Group’s 2013 blueprint for research: behavioral science. Noll RB, Patel SK, Embry L, Hardy KK, Pelletier W, Annett RD, Patenaude A, Lown EA, Sands SA, Barakat LP; COG Behavioral Sciences Committee. Pediatr Blood Cancer. 2013 Jun;60(6):1048-54. doi: 10.1002/pbc.24421. Epub 2012 Dec 19. Review. Working memory training in survivors of pediatric cancer: a randomized pilot study. Hardy KK, Willard VW, Allen TM, Bonner MJ. Psychooncology. 2013 Aug;22(8):1856-65. doi: 10.1002/pon.3222. Epub 2012 Dec 2. Computerized cognitive training in survivors of childhood cancer: a pilot study. Hardy KK, Willard VW, Bonner MJ. J Pediatr Oncol Nurs. 2011 Jan-Feb;28(1):27-33. doi: 10.1177/1043454210377178. Epub 2010 Oct 21. Perceived social competency in children with brain tumors: comparison between children on and off therapy. Hardy KK, Willard VW, Watral MA, Bonner MJ. J Pediatr Oncol Nurs. 2010 May-Jun;27(3):156-63. doi: 10.1177/1043454209357918. Epub 2010 Feb 10. Gender differences in facial expression recognition in survivors of pediatric brain tumors. Willard VW, Hardy KK, Bonner MJ. Psychooncology. 2009 Aug;18(8):893-7. doi: 10.1002/pon.1502. Adjustment of caregivers of pediatric patients with brain tumors: a cross-sectional analysis. Hutchinson KC, Willard VW, Hardy KK, Bonner MJ. Psychooncology. 2009 May;18(5):515-23. doi: 10.1002/pon.1421. Hydrocephalus as a possible additional contributor to cognitive outcome in survivors of pediatric medulloblastoma. Hardy KK, Bonner MJ, Willard VW, Watral MA, Gururangan S. Psychooncology. 2008 Nov;17(11):1157-61. doi: 10.1002/pon.1349. Social functioning and facial expression recognition in survivors of pediatric brain tumors. Bonner MJ, Hardy KK, Willard VW, Anthony KK, Hood M, Gururangan S. J Pediatr Psychol. 2008 Nov-Dec;33(10):1142-52. doi: 10.1093/jpepsy/jsn035. Epub 2008 Apr 5. Psychosocial functioning in parents of adult survivors of childhood cancer. Hardy KK, Bonner MJ, Masi R, Hutchinson KC, Willard VW, Rosoff PM. J Pediatr Hematol Oncol. 2008 Feb;30(2):153-9. doi: 10.1097/MPH.0b013e31815814d9. Brief report: psychosocial functioning of fathers as primary caregivers of pediatric oncology patients. Bonner MJ, Hardy KK, Willard VW, Hutchinson KC. J Pediatr Psychol. 2007 Aug;32(7):851-6. Epub 2007 Apr 9. Development and validation of the parent experience of child illness. Bonner MJ, Hardy KK, Guill AB, McLaughlin C, Schweitzer H, Carter K. J Pediatr Psychol. 2006 Apr;31(3):310-21. Epub 2005 May 25. Laura Gilchrist, PT, PhD, has dedicated her career to finding new ways to improve physical function in children undergoing cancer treatment. With Lynn Tanner, PT, she is exploring ways to measure chemotherapy-induced damage to peripheral nerves in the hands and feet. While this issue is well described in adults, Dr. Gilchrist is developing a measurement tool specifically for use in children. This tool will not only help Children’s patients, but will be utilized by health care providers and researchers across the country to more precisely evaluate this treatment-related side effect. By assessing children throughout their treatment and into follow-up care, she seeks to determine which changes in nerve function are permanent, with the eventual goal of preventing such damage. This is the first step in her quest to create a new care model that integrates physical status into the care of cancer patients. In a second study led by Dr. Gilchrist, children at the end of cancer treatment are being evaluated for balance, endurance, strength, posture, and walking mechanics. In this research, she is using a state of the art computerized walkway system to collect information on changes in walking mechanics. Potential deficits such as decreased step length, foot drop, and changes in gait patterns are measured using this novel device. The outcome of this research will potentially help children maintain motor development during treatment and prevent chronic late effects, such as obesity and decreased bone mineral density. Dr. Gilchrist is a graduate of Lawrence University, with a bachelor’s degree in biology. She received her doctorate in neuroscience, as well as a bachelor’s degree in physical therapy, from the University of Minnesota. She is a Professor in the Doctor of Physical Therapy program and a Clinical Research Scientist at Children’s Hospitals and Clinics. 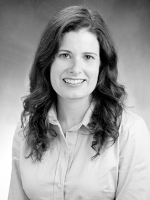 Her research interests include chemotherapy-induced peripheral neuropathy and oncology rehabilitation. She is actively involved in the American Physical Therapy Association at the state and national level. Gilchrist LS, Tanner L. The Pediatric-Modified Total Neuropathy Score: a Reliable and Valid Measure of Chemotherapy-Induced Peripheral Neuropathy in Children with Non-CNS Cancers. Journal of Supportive Care in Cancer, 2012 Sep 20. Gilchrist L. Chemotherapy-Induced Peripheral Neuropathy in Pediatric Cancer Patients. Semin Ped Neurology. 2012 Mar;19(1):9-17. Wampler MA, Galantino ML, Huang S, Gilchrist LS, Marchese VG, Morris GS, Scalzitti D, Hudson MM, Oeffinger KC, Stovall M, Leisenring WM, Armstrong GT, Robison LL, Ness KK. Physical activity among adult survivors of childhood lower extremity sarcoma. J Cancer Survivor Res and Pract, 2012 Mar;6(1):45-53. Marchese VG, Morris GS, Gilchrist LS, Ness KK, Wampler M, VanHoose L, Galantino ML. Screening for Chemotherapy Late Effects. Topics in Geriatric Rehabilitation 2011. 27(3):234-243. JK Silver, Gilchrist LS. Cancer Rehabilitation with a Focus on Evidence-Based Outpatient Physical and Occupational Therapy Interventions. American Journal of Physical Medicine and Rehabilitation May 2011, 90(5):S5-S15. Ness KK, Morris EB, Nolan VG, Howell CR, Gilchrist LS, Stovall M, Weathers RE, Cox CL, Klosky JL, Gajjar A, Robison LL, Neglia JP. Physical performance limitations among adult survivors of childhood brain tumors. Cancer 2010; 116(12):3034-44. Gilchrist LS, Tanner L, Hooke MC. Measuring chemotherapy-induced peripheral neuropathy in children: development of the Ped-mTNS and pilot study results. Rehabilitation Oncology 2009, 27(3):7-15. Gilchrist LS, Galantino ML, Wampler M, Marchese VG, Morris GS, Ness KK (2009) A framework for assessment in oncology rehabilitation. Physical Therapy 89;286-306. Ness KK, Marchese VG, Gilchrist LS, Galantino ML (2006) Oncology physical therapy research: investigations and strategies for clinicians. Rehabilitation Oncology 24(1):18-28. Galantino ML, Marchese V, Ness K, Gilchrist LS (2005) Oncology physical therapy research: a need for collaboration and the quest for quality of life in cancer survivors. Rehabilitation Oncology 23(3):10-16. Gilchrist LS, Cain DM, Harding-Rose C, Kov AN, Wendelschafer-Crabb G, Kennedy W, and Simone DA (2005) Re-organization of P2X3 Receptor Localization on Epidermal Nerve Fibers in a Murine Model of Cancer Pain. Brain Research 1044:197-205. Gilchrist LS, Tanner L. (2012) Reliability and validity of the ped-mTNS for measuring chemotherapy-induced peripheral neuropathy in school-aged children. MASCC/ISOO meeting June 2012. Marais L, Tanner L, Gilchrist L. (2012) Comparison of two measures of chemotherapy-induced peripheral neuropathy in school aged children undergoing neurotoxic cancer treatment. Combined Sections Meeting of the American Physical Therapy Association, Feb 2012. Peters K, Tice J, Gilchrist LS. (2012) Safety of physical therapy using symptomatic blood value guidelines in children being treated for cancer. Combined Sections Meeting of the American Physical Therapy Association, Feb 2012. Gilchrist LS, Tanner L, Hooke MC. (2009) Measuring Chemotherapy-Induced Peripheral Neuropathy in Children 5 – 18: A Pilot Study. Combined Sections Meeting of the American Physical Therapy Association. Gilchrist LS, Ness KK (2007) Physical Impairments and Function Ability in Survivors of Childhood Brain Cancer. Combined Sections Meeting of the American Physical Therapy Association. Gilchrist LS, Aune R, Helm J, Johnson E, Kern J (2005) Cancer pain is related to self-reported functional status in community-dwelling patients. Combined Sections Meeting of the American Physical Therapy Association. Gilchrist LS, Cain DM, Kov A, Harding-Rose C, Simone DA (2004) Cancer-Related Pain: A Potential Role for ATP Receptors. Combined Sections Meeting of the American Physical Therapy Association. Gilchrist LS, DM Cain, C Harding-Rose, and DA Simone DA (2003) Reduced epidermal innervation and alteration of nerve fiber morphology in a model of cancer pain. Combined sections meeting of the American Physical Therapy Association. Ness KK, Nolan VG, Morris EB, Howell CR, Gilchrist LS, Neglia JP (2009). Limitations in physical function among adult survivors of childhood brain tumors. Annual meeting of the American Society of Pediatric Hematology/Oncology. Barrie E, Egan E, Goerlitz M, Mellem J, Gilchrist L (2008) Preliminary outcomes of the MN APTA “Stand-up and Be Strong” Falls Prevention Program. MN chapter of the American Physical Therapy Association, spring conference. Davis RM, Sonntag CJ, Huntzinger JJ, Day DS, Austria SF, Lee NA, Ness KK, Gilchrist LS (2007) Strength, Functional Capacity, and Mobility Among Young Adult Survivors of Childhood Acute Lymphoblastic Leukemia (ALL) and Age and Gender Matched Controls. MN chapter of the American Physical Therapy Association, spring conference. Goldstein S, Johnson S, Lahr L, Larson K, Gilchrist L (2006) Physical therapy interventions for painful diabetic neuropathy: a systematic review. MN chapter of the American Physical Therapy Association, spring conference. Gastler HL, Lohr K, Gilchrist LS. (2005) The relationship between pain and function in patients with cancer. MN chapter of the American Physical Therapy Association, spring conference. Leanne Embry, PhD, is a licensed psychologist and an Associate Professor in the Department of Pediatrics, Division of Hematology/Oncology at the University of Texas Health Science Center at San Antonio. She has been providing clinical services, including assessment and therapy, for more than 15 years to children with a variety of oncologic, hematologic, and immunologic disorders. She has also developed a robust program of research focused on the psychosocial impact of a cancer diagnosis on children and their families, as well as neurocognitive late effects of cancer therapies. 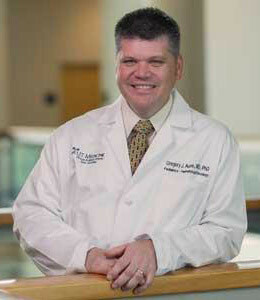 Dr. Embry has a particular interest in the effects of cancer on the lives of adolescent and young adult (AYA) patients, for whom the impact is often uniquely challenging. She was a founding member of the annual Texas AYA Oncology Conference, and she is part of a local task force dedicated to the development of a formal AYA treatment and survivorship program. Dr. Embry was recently elected for a 5-year term as the Chair of the Behavioral Sciences discipline committee within the Children’s Oncology Group (COG). She also serves as Study Chair for a companion protocol that is paired with seven COG clinical trials with the goal of examining neurocognitive, social, emotional, and behavioral outcomes in children diagnosed with cancer. She has also served prior terms on the Steering Committees for the Young Investigator Committee and the AYA Committee within COG. Annett RD, Hile S, Bedrick E, Kunin-Batson AS, Krull K, Embry L, MacLean W, Noll RB. Neuropsychological functioning of children treated for acute lymphoblastic leukemia: Impact of whole brain radiation therapy Psycho-Oncology 2015 Feb;24(2). Zebrack B, Kwak M, Salsman J, Cousino M, Meeske K, Aguilar C, Embry L, Block R, Hayes-Lattin B, Cole S. The relationship between posttraumatic stress and posttraumatic growth among adolescent and young adult (AYA) cancer patients Psycho-Oncology 2015 Feb;24(2). Zebrack BJ, Corbett V, Embry L, Aguilar C, Meeske K, Hayes-Lattin B, Block R, Zeman DT, Cole S. Psychological distress and unsatisfied need for psychosocial support in adolescent and young adult cancer patients during the first year following diagnosis Psycho-Oncology 2014 Nov;23(11). Whitlow PG, Caparas M, Cullen P, Trask C, Schulte C, Embry L, Nagarajan R, Johnston DL, Sung L. Strategies to improve success of pediatric cancer co-operative group quality of life studies: A report from the Children”s Oncology Group Quality of Life Research 2014 Nov;. Kwak M, Zebrack B, Meeske K, Embry L, Aguilar C, Block R, Hayes-Lattin B, Li Y, Butler M, Cole S. Prevalence and predictors of post-traumatic stress symptoms in adolescent and young adult cancer survivors: A 1-year follow-up study Psycho-Oncology 2013 Aug;22(8). Kwak M, Zebrack BJ, Meeske KA, Embry L, Aguilar C, Block R, Hayes-Lattin B, Li Y, Butler M, Cole S. Trajectories of psychological distress in adolescent and young adult patients with cancer: a 1-year longitudinal study J Clin Oncol 2013 Jun;31(17):2160-2166. Noll RB, Patel SK, Embry L, Hardy KK, Pelletier W, Annett RD, Patenaude A, Lown A, Sands SA, Barakat L. Childrens Oncology Groups 2013 blueprint for research: Behavioral science Pediatric Blood and Cancer 2013 Jun;60(6):1048-1054. Zebrack B, Block R, Hayes-Lattin B, Embry L, Aguilar C, Meeske K, Li Y, Butler M, Cole S. Psychosocial service use and unmet need among recently-diagnosed adolescent and young adult cancer patients Cancer 2013 Jan;119(1):201-214. Embry L, Annett RA, Kunin-Batson A, Patel SK, Sands S, Reaman G, Noll RB. Implementation of multi-site neurocognitive assessments within a pediatric cooperative group: Can it be done? Pediatric Blood and Cancer 2012 Sep;59(3):536-539. Ullrich N, and Embry L. Neurocognitive dysfunction in survivors of childhood brain tumors Seminars in Pediatric Neurology 2012 Mar;19(1):35-42. When a child has cancer, the patient and family can be affected for life. The cancer experience can promote long-term negative and positive changes. A positive aspect of the experience is that it can highlight and promote resiliency and strengths within a family. As a clinical psychologist, I listen carefully and empathetically to patients’ and families’ concerns while also assessing their strengths, coping strategies and goals. Sometimes patients and families have goals related to the treatment, while other times they have goals in their personal and family lives that they would like to maintain and pursue. I try to answer questions such as: “Do they have goals they would like to accomplish, are their goals realistic, what strengths do they have to help them achieve their goals, and do they need extra support to accomplish them?” For adolescents and young adults, I consider how the experience affects their identity development and transition to adulthood. I also help in their transition to adult-oriented care for long-term follow-up after treatment. My research broadly focuses on how patients and families adapt when they are affected by pediatric cancer. I most often conduct research with adolescent and young adult patients. Adolescents and young adults with cancer are a vulnerable and underserved population — both medically and psychosocially. The experience of cancer during this developmentally fragile period makes adjustment more difficult for some patients. I’m looking closely at the impact of health on goals, from personal goals to the role of health-related goals in health behaviors. I also focus on patient symptoms and future health risks, compliance with provider recommendations, quality of life and transition to adult care. I’m developing new assessment tools to better understand the impact of cancer on adolescents and young adults and plan to develop interventions to improve their adjustment and health outcomes. My ultimate objective is to help young cancer patients reach their potential as they transition to adulthood, whether they are on treatment or are long-term cancer survivors. I also hope my research will help clinicians better understand the unique needs, concerns and health behaviors of young cancer patients. This understanding will help facilitate better care that can improve psychological and health outcomes in pediatric cancer survivorship. Schwartz LA, DeRosa BW, Kazak AE: Adult Survivors of Childhood Cancer. Psycho-Oncology, Third Edition. Holland JC, Breibert WS, Jacobsen PB, Lederberg MS, Loscalzo MJ, McCorkle R (eds.). Oxford University Press, 2015. Schwartz, LA, Rowland, J, Shad, A: Pediatric Cancer Survivors. Pediatric Psycho-Oncology: A Quick Reference on the Psychosocial Dimentions of Cancer Symptom Management, Second Edition. Wiener, L, Pao, M, Kazak, AE, & Kupst, MJ, Patenaude AF (eds.). IPOS Press, 2014. Schwartz LA, Daniel, LC, Hocking, M: Psychosocial Effects. Essentials of Pediatric Oncology Nursing: A Core Curriculum, Fourth Edition 2013. Schwartz LA, Werba B, Kazak AE: Adult Survivors of Childhood Cancer. Psycho-Oncology, Second Edition. Holland JC, Breibert WS, Jacobsen PB, Lederberg MS, Loscalzo MJ, McCorkle R (eds.). Oxford University Press, Page: 562-566, 2010. Schwartz LA, Kazak AE, Mougianis I: Cancer. Behavioral Approaches to Chronic Disease in Adolescence. O’Donohue W, Tolle LW (eds.). Springer Publishing, Page: 197-217, 2009. Hobbie W, Hudson M, Rowland J, Schwartz LA : Pediatric Cancer Survivors: Moving Beyond Cure. Quick Reference for Pediatric Oncology Clinicians: The Psychiatric and Psychological Dimensions of Pediatric Cancer Symptom Management Wiener L, Pao M, Kazak AE, Kupst MJ (eds.). IPOS Press, Page: 245-259, 2009. Schwartz, L. A., Daniel, L., Danzi, L. E., Wesley, K., Barakat, L. P., & Tuchman, L. K. (2014). Measures of readiness to transition to adult health care for youth with chronic physical health conditions: A systematic review and recommendations for measurement testing and development. Journal of Pediatric Psychology, jsu028. PMCID: PMC406160. Barakat, L.P., Schwartz, L.A., Reilly, A., Deatrick, J.A., & Balis, F. (2014). Perceived barriers and benefits of Phase III clinical trials participation for adolescents and young adults with cancer (AYA): A qualitative study of AYA decision making experiences. Journal of Adolescent and Young Adult Oncology, 1;3(1):3-11.PMCID: PMC3955960. Daniel, L. C., Barakat, L. P., Danzi, L. E., & Schwartz, L. A. (2014) Health-related hindrance of personal goals of adolescents with cancer: The role of the interaction of race/ethnicity and income. Journal of Clinical Psychology in Medical Setting, 21(2), 155-64. PMCID: PMC2782247. Schwartz, L. A., Brumley, L. D., Tuchman, L. K., Barakat, L. P., Hobbie, W., Ginsberg, J. P., Daniel, L., Kazak, A. E., Bevans, K., & Deatrick, J. (2013). Stakeholder validation of a model of readiness for transition to adult care. JAMA Pediatrics, 167, 939-46. PMC Journal – In Process. Daniel, L.C., Brumley, L.D., Schwartz, L. A. (2013). Fatigue in adolescents with cancer compared to healthy adolescents. Pediatric Blood and Cancer, 60, 1902-1907. Szalda, D., Brumley, L. D., Danielson, C., & Schwartz, L. A. (2013). Exploratory analyses of substance use in adolescents with and without cancer. Journal of Adolescent and Young Adult Oncology, 2(2), 77-82. PMCID: PMC3684131. Schwartz, L. A., & Parisi, M. L. (2013). Self-identified goals of adolescents with cancer and healthy peers: Content, appraisals and correlates. Journal of Pediatric Psychology, 38, 151-161. PMCID: PMC3579164. Sadak, KT, Kinehan, KE, Szalda, D, Henderson, TO, Schwartz, LA, Freyer, D: Transitional Care Practices, Services, and Delivery In Childhood Cancer Survivorship. Poster presented at the 14th International Conference on Long-Term Complications of Treatment of Children and Adolescents for Cancer, Arlington, VA June 2015. Schwartz L, Brumley L, Pierce L, Szalda D, Hobbie W, Wasik M, Ginsberg J: Predictors of Engagement in Adult-Focused Follow-Up Care after Transfer of Care of Survivors of Childhood Cancer. Poster presented at the 2015 Society of Pediatric Psychology Annual Conference. San Diego, California April 2015. Daniel L, Schwartz LA, Kahl D, Barakat L: Development of the Sleep Disturbances in Pediatric Cancer (SDPC) Model Poster presented at the 2015 Society of Pediatric Psychology Annual Conference. San Diego, California April 2015. Szalda D, Hobbie WL, Ginsberg JP, Brumley LD, Wasik M, Schwartz LA: Follow-up care and cancer related communication with providers among young adult survivors of childhood cancer after transfer to adult care. Poster presented at the International Society for Pediatric Oncology, Toronto, Canada Oct 2014. Pierce L, Fleischer J, Hocking MC, Alderfer M, Schwartz LA, Kazak AE, Barakat LP: Caregiver distress and patient health-related quality of life: Psychosocial screening during pediatric cancer treatment. Paper presented at the International Society for Pediatric Oncology, Toronto, Canada Oct 2014. Wasik MK, Deatrick JA, Brumley LD, Butler ES, Pierce LM, Hobbie WL, Ginsberg JP, Schwartz LA: Using focus groups with transferred survivors and parents to understand their experiences, current practices, and recommendations for improving the transition process. Poster presented at the Sixth International Nursing Conference on Child and Adolescent Cancer Survivorship, Philadelphia, PA Apr 2014. Daniel LC, Kazak A, Li Y, Hobbie W, Ginsberg J, Butler E, Schwartz LA: Relationship between sleep and psychological outcomes in adolescent cancer survivors and controls. Paper presented at International Nursing Conference on Child and Adolescent Survivorship, Philadelphia, PA Apr 2014. Pennarola BW, Rodday AM, Bingen K, Schwartz LA, Patel SK, Syrjala KL, Mayer DK, Ratichek SJ, Guinan EC, Kupst MJ, Hibbard JH, Parsons SK: Changing factors associated with parent activation after pediatric hematopoietic stem cell transplant. Poster presented at Society of Pediatric Psychology Annual Conference, Philadelphia, PA Mar 2014. Monaghan M, Pai A, Bingen K, Eakin M, Gilleland J, Porter J, Schwartz LA: Involvement of pediatric psychologists in the care of adolescents and young adults with chronic illness. Poster presented at Society of Pediatric Psychology Annual Conference, Philadelphia, PA Mar 2014. Daniel LC, Schwartz LA, Barakat LP: Testing a model of sleep disturbance in pediatric oncology. Poster presented at Society of Pediatric Psychology Annual Conference, Philadelphia, PA Mar 2014. Bakan J, Bingen K, Schwartz LA, Syrjala KL, Mayer DK, Rodday AM, Davies SM, Guinan EC, Kupst MJ, Ratichek SJ, Stein RE, Parsons SK: The impact of pediatric hematopoietic stem cell transplant on the family. Poster presented at Society of Pediatric Psychology Annual Conference, Philadelphia, PA Mar 2014. Parsons SK, Mayer DK, Ratichek SJ, Rodday AM, Syrjala KL, Davies S, Patel SK, Schwartz LA, Kupst MJ, Bingen K, Guinan EC, McTavish F, Stewart S, Terrin N, Gustafson DH: An eHealth program for parents of pediatric Hematopoietic Stem Cell Transplant (HSCT) recipients enhances parents’ emotional functioning with continued use: Results of the HSCT-CHESSTM study. Paper presented at the 15th World Congress of Psycho-Oncology and Psychosocial Academy, Rotterdam, The Netherlands Nov 2013. Daniel LC, Kazak AE, Li Y, Schwartz LA: Sleep and psychological correlates in adolescent and young adult cancer survivors compared to controls. Poster presented at the Pediatric Sleep Medicine Conference, Amelia Island, FL Nov 2013. Wallis EM, Tomescu O, Schwartz LA, Salek E, Trachtenburg S, Stollon N, Peter N: Transitioning children with chronic illness to adult healthcare: Practices of pediatric clinicians. Poster presented at 14th Chronic Illness and Disability Conference Research Symposium; 2013, Houston, TX Oct 2013. Daniel L, Brumley LD, Schwartz LA: Fatigue in adolescents with cancer compared to healthy adolescents. Poster presented at the Associate Professional Sleep Societies’ Annual Meeting, Baltimore, MA Jun 2013. Brumley LD, Deatrick J, Barakat LP, Ramharrack F, Daniel L, Palmer S, & Schwartz LA: Development of a new measure of goal-based quality of life for adolescents and young adults with cancer. Poster presented at the Leadership Education in Neurodevelopmental and Related Disabilities Annual Research Symposium & Poster Day. Philadelphia, PA May 2013. Schwartz LA, Brumley LD, Barakat LP, Deatrick JA, Daniel L, Hobbie WL, Bevans K, Kazak AE, Ginsberg JP, Tuchman LK: Development of a new transition readiness measure for adolescent and young adult survivors of pediatric cancer. Paper presented at the 2013 Society of Pediatric Psychology National Conference in Pediatric Psychology, New Orleans, LA Apr 2013. Kazak AE, Alderfer MA, Hocking M, Schwartz LA, & Barakat L: Check-in About Recent Experiences and Strengths (CARES): A web-based tablet-administered caregiver-report assessment protocol. Poster presented at the 2013 Society of Pediatric Psychology National Conference in Pediatric Psychology, New Orleans, LA Apr 2013. Brumley LD, Deatrick JA, Barakat LP, Ramharrak F, Daniel L, Palmer S, Schwartz LA: Development of a new measure of goal-based quality of life for adolescent and young adults with cancer. Poster presented at the 2013 Society of Pediatric Psychology National Conference in Pediatric Psychology, New Orleans, LA Apr 2013. Wesley K, Zelikovsky N, & Schwartz LA: Medical symptoms, perceived social support, and affect in adolescent patients with cancer. Poster presented at the Society of Behavioral Medicine, San Francisco, CA Mar 2013. Tuchman LK, Deatrick J, Danzi L, Daniel L, Barakat LP, Hobbie W, Ginsberg JP, Kazak AE, Bevans K, Schwartz LA: The content validity of an initial item pool of a new transition readiness measure. Poster presented at the 2013 Annual Meeting of the Society for Adolescent Health and Medicine, Atlanta, GA Mar 2013. Lynn Tanner, PT is a physical therapist in the Cancer and Blood Disorders Clinic at Children’s Hospitals and Clinics of Minnesota. She received her BA in Child Psychology from the University of Minnesota in 1999 and her Master’s in Physical Therapy from the Mayo School of Health Related Sciences in 2001. In her current role, she provides mainly consultative PT services to the oncology population in the oncology clinic, conducts research investigating peripheral neuropathy and the impact of PT in pediatric oncology, and serves as a resource for pediatric oncology rehabilitation. She has presented around the country at the American Physical Therapy Association (APTA) Combined Section Meetings, American Pediatric Hematology Oncology Nursing Association Conferences, Children’s Oncology Group meetings and at local Universities. 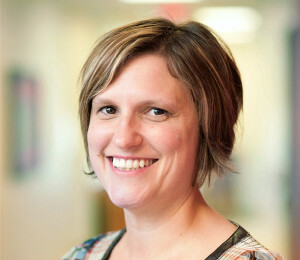 She was awarded the Emerging Leader Award for 2010 from the APTA and served as the chair of the Pediatric Oncology Special Interest group of the APTA from 2010 to 2014. Tanner LR, Hooke MC, Hinshon S, Hansen CR. Effect of an Ankle Foot Orthosis Intervention for Children With Non-Central Nervous System Cancers: A Pilot Study. Pediatr Phys Ther. 2015 Winter;27(4):425-31. doi: 10.1097/PEP.0000000000000180. 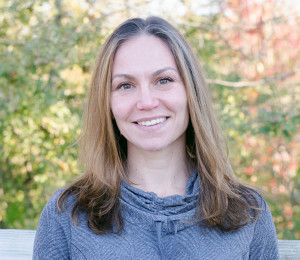 Dr. Miale graduated from the University of Scranton with her Master of Physical Therapy degree in 2000. She began her career at The Rusk Institute of Rehabilitation Medicine at New York University Medical Center where she gained experience in acute care, outpatient orthopedics, neurologic rehabilitation, and both inpatient and outpatient pediatrics. Her devotion to treating children earned her two awards for advanced clinical skills and assisting with overall departmental efficiency and management. In 2006, Dr. Miale was hired by Memorial Sloan-Kettering Cancer Center where she maintained the position of Physical Therapy Pediatric Specialist. She initiated several new pediatric programs, including the creation of a new screening tool for acute care pediatric oncology. She was also responsible for all new employee orientation in the areas of pediatrics and chest physical therapy. Dr. Miale received her Doctor of Physical Therapy degree from Rocky Mountain University of Health Professions in 2008 and is a Pediatric Certified Specialist through the American Physical Therapy Association (APTA). She has given lectures and in-services across the country on physical therapy intervention for children with cancer and currently serves as the Chair of the Pediatric Oncology Special Interest Group in the Oncology Section of the APTA. Dr. Miale is also a member of the APTA EDGE (Evidence Database to Guide Effectiveness) Taskforce to review outcome measures that can be used with survivors of breast cancer. She currently teaches Principles of Inpatient Care, Growth and Development Across the Lifespan, and Cardiopulmonary Rehabilitation in the Entry-Level DPT curriculum. Other research interests include the rehabilitation of children with cancer during the active phase of their treatment and early mobility programs in the ICU critical care setting. Harrington S, Michener LA, Kendig T, Miale S, George SZ. Patient-Reported Shoulder Outcome Measures Used in Breast Cancer Survivors: A Systematic Review. Arch Phys Med Rehabil. 2014;95(1):153-162. Miale S, Stimler L, Riedel ER. Using a simple screening tool to enhance awareness and utilization of rehabilitation services for pediatric oncology patients in the acute care setting. Rehabilitation Oncology. 2013; 31(2):6-10. Miale S, Harrington S, Kendig T. Oncology Section Task Force on Breast Cancer Outcomes: Clinical Measures of Upper Extremity Function. Rehabilitation Oncology. 2013;31(1):27-34. Kasven-Gonzalez N, Souverain R, Miale S. Improving quality of life through rehabilitation in palliative care: case report. Palliative and Supportive Care. 2010;8:359-369. Miale S, Souverain R. Changing the Culture in Acute Care Pediatric Oncology Using a Simple Rehabilitation Screening Tool. Poster presentation at APTA Combined Sections Meeting, Las Vegas, NV, February, 2014. Morris S, Drouin J, Fisher M, Miale S. Oncology Section EDGE Task Force on Breast Cancer Outcomes: Clinical Measures of Strength, Endurance, and Quality of Life in Individuals Treated for Breast Cancer – A review of available assessment and outcome measures and their psychometric properties. Education Session at APTA Combined Sections Meeting, Las Vegas, NV, February, 2014. Davies C, Fisher MI, Harrington S, Kendig T, Levangie PK, Miale S, Perdomo M, Sebelski C. (February 2012) Oncology Section Task Force on Breast Cancer Outcomes: Clinical Measures of Upper Extremity Function. American Physical Therapy Association Combined Sections Meeting, Chicago, IL. Educational Session. Miale S. (February 2011) Improving the Quality of Life of Children with Cancer. American Physical Therapy Association Combined Sections Meeting, New Orleans, LA. Educational Session. Miale S. (April 2010) Improving the Quality of Life of Children with Cancer. New York Physical Therapy Association, Westbury, NY. Continuing Education Course #10-04-12.